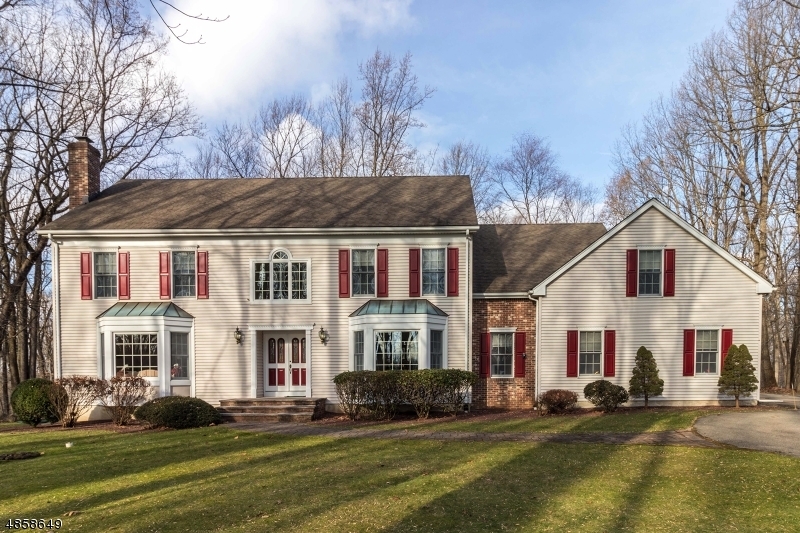 A TRULY EXQUISITE AND SUPERBLY MAINTAINED CUSTOM BUILT 4BR COLONIAL ON A GORGEOUSLY LANDSCAPED 1.67 ACRE LOT WITH A VERY PRIVATE BACKYARD AND A GREAT LOCATION JUST AROUND THE CORNER FROM BEAUTIFUL HOFFMAN PARK AND LESS THAN FIVE MINUTES FROM RT 78. THIS SPARKLING CLEAN, WARM-AND-INVITING HOME FEATURES A GOURMET GRANITE AND CHERRY CENTER ISLE KITCHEN WITH NEWER UPGRADED STAINLESS STEEL APPLIANCES, AND A DRAMATIC CATHEDRAL CEILING SUN ROOM WITH THREE FULL WALLS OF WINDOWS. OTHER HIGHLIGHTS INCLUDE A HUGE 25X19 SUNKEN FAMILY RM, A 2-STORY FOYER WITH FRENCH DOORS TO THE LIVING RM, AN ELEGANT FORMAL DINING RM, AN EXPANSIVE MBR SUITE WITH AN ENORMOUS WALK-IN CLOSET, A LUXURIOUS MASTER BATH, SPACIOUS SECONDARY BDRMS, HARDWOOD ON THE ENTIRE FIRST FLOOR, 3-ZONE HEAT & CAC, 3-CAR GARAGE, & A WHOLE-HOUSE GENERATOR. NEW LISTING! 60 Wyckoff Dr; Union Twp. A SUPERBLY MAINTAINED 4BR & 3-1/2 BATH BRICK-FRONT COLONIAL ON A VERY PRETTY LANDSCAPED PREMIUM LOT COMPLETE WITH A LARGE FENCED BACKYARD WITH PRIVATE WOODED BACKDROP, A GORGEOUS FREE-FORM IN-GROUND SALTWATER POOL WITH A NEW STAMPED CONCRETE PATIO, AND A GREAT LOCATION JUST FIVE MINUTES FROM RT 78 & CLINTON WITHIN THE FABULOUS TOLL-BUILT BRASS CASTLE ESTATES. THE HOME FEATURES A RECENTLY RENOVATED CENTER ISLE GRANITE KITCHEN WITH UPGRADED STAINLESS STEEL APPLIANCES, AND A HUGE 24X15 TWO-STORY FAM RM WITH A FLOOR-TO-CEILING BRICK FPLC. OTHER HIGHLIGHTS INCLUDE HARDWOOD ON THE ENTIRE 1ST FLR, AN ELEGANT TRAY CEILING DINING RM, A PRIVATE 1ST FLR STUDY, AN EXPANSIVE MBR SUITE WITH BRAZILIAN CHERRY FLRS & A SITTING RM, A LUXURIOUS MASTER BATH, A “PRINCESS SUITE” WITH PRIVATE BATH, & A GRADE-LEVEL WALK-OUT BSMNT. OPEN HOUSE! 78 Race St; Union Twp. A RECENTLY UPDATED 4/5BR & 3-1/2 BATH WHICH OFFERS 3600 SQ FT OF LIVING SPACE INCLUDING A STATE-OF-THE-ART AND HANDI-CAPPED FRIENDLY IN-LAW APARTMENT WHICH MOM AND/OR DAD WILL BE PROUD TO CALL HOME. THE RECENTLY UPGRADED ATTACHED SUITE OFFERS A GRANITE AND STAINLESS STEEL KITCHEN WITH UPGRADED MAPLE CABINETS, A HUGE 21X14 LIVING RM, A SPACIOUS BEDROOM, ITS OWN PRIVATE BATH. NOT TO BE OUT-DONE, THE MAIN HOUSE FEATURES A FULLY-EQUIPPED EAT-IN KITCHEN, A FABULOUS FAMILY RM WITH A BUILT-IN BOOKSHELVES AND A BRICK MASONRY FPLC, A HUGE FORMAL LIVING RM, HARDWOOD FLRS & NATURAL STAINED TRIM THRU-OUT, AN EXPANSIVE MBR SUITE WITH AN UPDATED FULL BATH, SPACIOUS SECONDARY BDRMS, A 2-YR OLD TREX DECK & MUCH MORE. THE PRIVATE BACKYARD IS ALSO HOME TO A 40’X40′ METAL OUTBUILDING WITH ELECTRIC AND A POURED CONCRETE FLOOR. OPEN HOUSE! 21 Wyckoff Dr; Union Twp. OPEN HOUSE! 21 Polktown Rd; Union Twp. A 3918 SQ FT 5BR & 3-1/2 BATH HOME ON A WOODED 2.55 AC LOT WITH BEAUTIFUL WINTER VIEWS OF THE RESERVOIR AND A GREAT PRIVATE LOCATION LESS THAN 1 MILE FROM SPRUCE RUN RECREATION AREA NEAR THE END OF A LONG CUL-DE-SAC STREET. SPECIAL FEATURES INCLUDE A GOURMET CENTER ISLE GRANITE KITCHEN WITH NEW DECORATIVE TILE BACK-SPLASH & A GLASS DISPLAY CABINET, AN ELEGANT CUSTOM-TRIMMED DINING RM WITH ADJACENT BUTLERS PANTRY, A FIRST FLOOR LIBRARY WITH BUILT-IN BOOKSHELVES, A FABULOUS FAMILY RM WITH RESERVOIR VIEWS FROM ALL WINDOWS, AN EXPANSIVE TRAY CEILING MBR SUITE WITH TWO WALK-INS, A LUXURIOUS VAULTED CEILING GRANITE MASTER BATH WITH FRAME-LESS GLASS SHOWER, SPACIOUS SECONDARY BEDROOMS INCLUDING A GUEST SUITE WITH PRIVATE BATH, A 2ND STAIRCASE TO A 19X18 BONUS RM, A 3-CAR GARAGE, A LARGE DECK, & A PRIVATE PATIO. NEW LISTING! 78 Race St; Union Twp. NEW LISTING! 21 Polktown Rd; Union Twp. 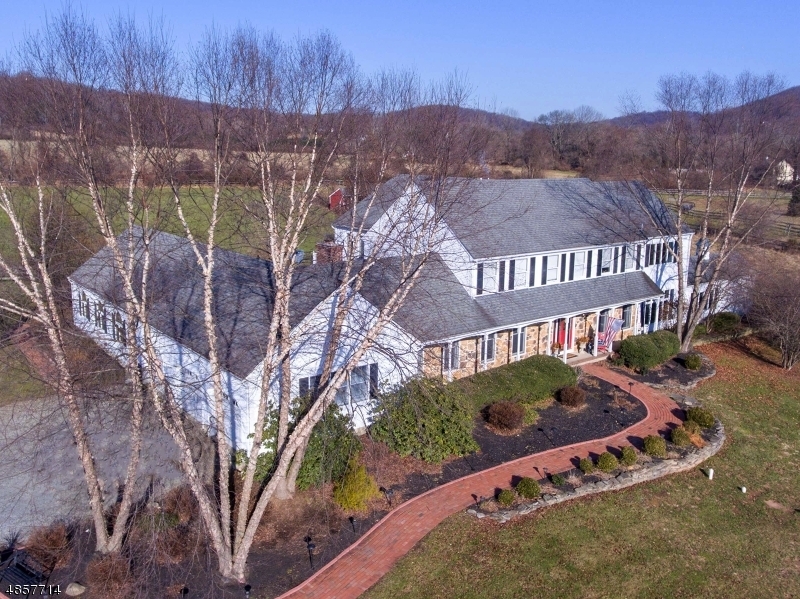 A SUPERBLY MAINTAINED HOME ON A GORGEOUSLY LANDSCAPED 1.51 ACRE END-OF-CUL-DE-SAC LOT WITH A BEAUTIFUL FREE-FORM HEATED IN-GROUND POOL AND A TRULY GREAT LOCATION JUST MINUTES FROM ROUTE 78 AT EXIT 12, THIS MAGNIFICENT LIGHT, BRIGHT, & AIRY BRICK-FRONT HOME FEATURES A GREAT OPEN FLOOR PLAN WITH AN EXQUISITE GRANITE & CHERRY CENTER ISLE KITCHEN GOURMET KITCHEN WITH UPGRADED STAINLESS STEEL APPLIANCES INCLUDING A 6-BURNER WOLF RANGE WITH HOOD AND TWO DECOR WALL OVENS. 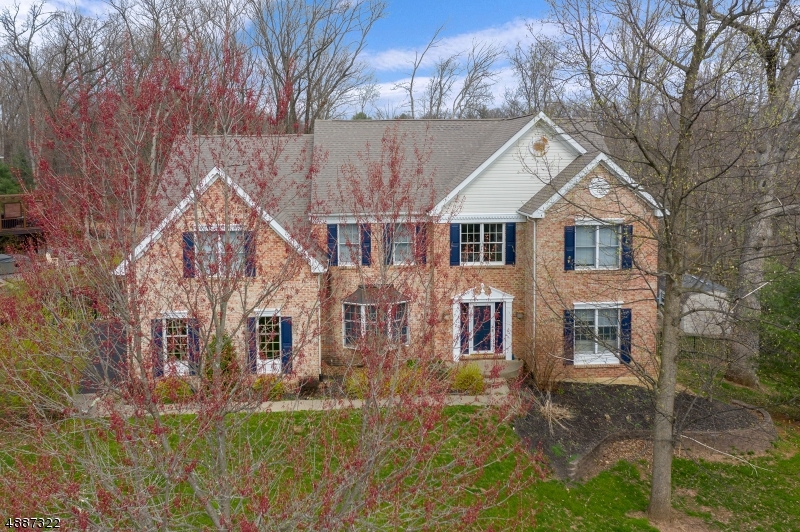 OTHER HIGHLIGHTS INCLUDE A FULLY-WINDOWED 17X15 SUN RM/CONSERVATORY, BOW WINDOWS IN BOTH THE LR & DR, NEWLY REFINISHED HARDWOOD FLOORS, AN EXPANSIVE TRAY-CEILING MBR SUITE W/TWO LARGE WALK-INS& LUXURY BATH, SPACIOUS SECONDARY BDRMS, A GRADE-LEVEL DAYLIGHT WALKOUT BSMNT WITH GAME RM & REC RM, A WRAP-AROUND ROOFED PORCH, A PAVED DRIVE, SO MUCH MORE!